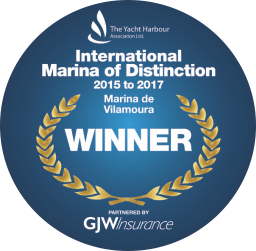 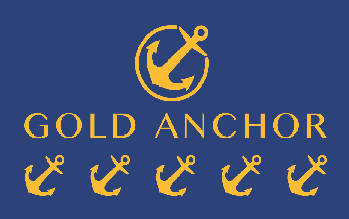 Vilamoura Marina, was one of the first marinas to get certified for ISO 14001 and ISO 9001 Quality and Environment Certification, together with European certification Blue Flag for Marinas and 5 anchors distinction by the Yacht Harbor Association (TYHA). 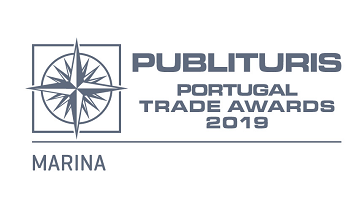 In 2019, was elected for the eighth consecutive year, the Best Portuguese Marina by Publituris Portugal Trade Awards. 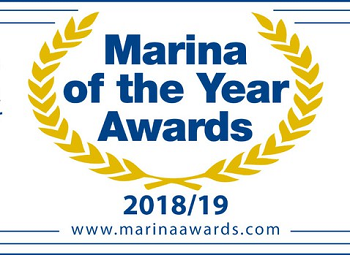 Won the international title "Marine of Distinction" for having received, consecutively, in the triennium of 2015-2017 the award of Best International Marina, awarded by the Yatch Harbor Association and elected for Best International Marina in 2019, also by TYHA.